NU-VU Foodservice Systems, is the recognized leader in “On-Premise Baking”. 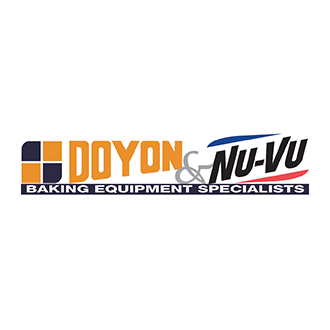 As The Bakery Equipment Division of Middleby Corporation, along with Doyon Baking Equipment Specialists, they manufacturer a wide variety of commercial baking equipment for use in all types of foodservices, supermarkets, and convenience stores. NU-VU products include baking ovens, oven-proofers, proofers, pizza ovens, and even smokers and cook n hold ovens. NU-VU oven/proofers, used extensively worldwide in national chains for over 25 years, provide a complete “baking center” in one unit. With more than 25,000 units sold worldwide and counting, they are the industry standard for “On-Premise Baking”. …and various other baking equipment and accessories.